Dr. Angela Byars-Winston is an Associate Director of CCHE, tenured Professor in the UW Department of Medicine, Director of Research and Evaluation in the UW Center for Women’s Health Research, and Faculty Director of Strategic Partnerships of the Center for the Improvement of Mentored Experiences in Research. Her research examines cultural influences on academic and career development, especially for historically minoritized groups in the sciences, engineering, and medicine with the aim of broadening their participation in STEM fields. Dr. Byars-Winston was Principal Investigator on an NIH R01 grant to measure and test critical factors in research training interventions for mentors of ethnically diverse mentees in biological science and is currently co-leading a renewal of that R01 grant to investigate and intervene on research mentors’ cultural diversity awareness. She is co-investigator on the National Research Mentoring Network (NRMN) grant from the NIH in the Mentor Training Core through which she is leading the Culturally Aware Mentorship initiative. 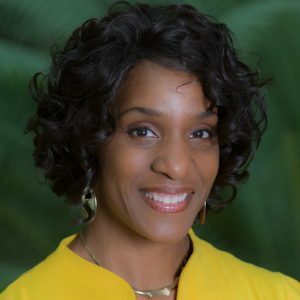 Dr. Byars-Winston is currently chairing the Committee on Effective Mentoring in STEMM through the National Academies of Sciences, Engineering, and Medicine. To learn more about Dr. Byars-Winston, please see her Department of Medicine biography.